Going back on its week-old order, the Central government on March 12 lifted the ban on cotton exports. However, no fresh registration for cotton exports will be permitted till further notice. The decision follows a hue and cry over the ban by farmer organisations, politicians and traders. “The shipment of 3.5 million bales registered with the Union Commerce Ministry prior to the ban will also be revalidated,” says Rahul Khullar, secretary at the ministry. The Directorate of General and Foreign Trade (DGFT), under the Commerce Ministry, had imposed the ban on cotton exports on March 5 stating that around 9.4 million bales have already been shipped out of the country as against estimated exports of 8.4 million bales. The decision was taken without consulting agriculture minister, Sharad Pawar, as he was out of country. The move had drawn flak from several quarters including the agriculture minister, farmer groups and traders from various states, especially Maharashtra and Gujarat. Gujarat chief minister Narendra Modi even wrote a letter to Prime Minister Manmohan Singh asking him to lift the ban immediately. In his letter, he termed the move as “malicious” and said this would force the farmers to opt for distress sale of cotton. The commerce ministry took the decision to ban cotton exports taking into account the trend of domestic consumption and depletion of domestic availability. “Availability has reduced to less than the production levels of 2009-10, and also reduced the carry forward figure below the advisable inventory level,” said the ministry in a statement on March 5 when it imposed the ban. 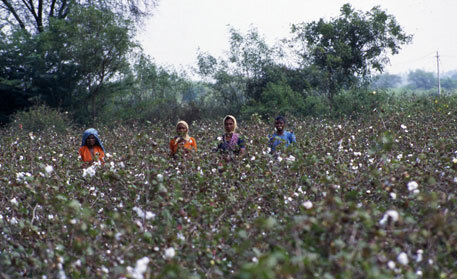 India is the world’s second largest producer of cotton. The ministry said that higher exports than anticipated in cotton season 2010-11 reduced the expected carryover of stock for the current cotton season from 4.83 million bales as estimated by the Cotton Advisory Board (CAB) to about 3.3 million bales. A review of export data showed that the limit was breached on February 20, 2012 and exports of 9.1 million bales were made by February 29. At this rate, it was expected that exports would reach 10 million bales by mid-March. This was also reflected by the scrutiny of registration of exports made with DGFT. The data showed that the exports would reach 12 million bales easily. The ministry also found that there was a rush for registration after the figure of 8.4 million bales was reached. “We found that in some cases licences were registered with the same company/individual as exporting and importing party,” the ministry stated. This indicated that there was hoarding in warehouses abroad. He said last month cotton was traded above Rs 4,200 per quintal but the fear of export ban brought the prices down to Rs 3,700 per quintal till March 3. However export ban on March 5 further crashed prices of cotton to Rs 2,500 per quintal.